Transport For London has released a live/animated TV advert as part of its campaign, “Better Off By Bike”. The ‘Signs’ spot begins on a Spring day in London, blossom in the trees, roads and pavements slightly damp. As a black car drives past the camera, we see a sign indicating a cycle lane. The sign comes to life, peeling itself from the tarmac, quickly overtaking cars, heading off to join other white signs in the city’s streets and parks. No one seems to notice, except for one young boy. Finally the bike ends back on the cycle lane, lying down to attract the attention of a woman preparing to drive her car. She puts down her car keys and takes her bike instead. The Better Off By Bike campaign was developed at M&C Saatchi, London by creative director Graham Fink, art director Uche Ezugwu, copywriter Tom Drew and agency producer Ben Catford. Filming was directed by Emil Moller and produced by Helen Kenny via Sonny, London, the company recently started by Fredrik Bond. Editor was Amanda James at Peep Show. Post Production was done at Absolute, London by VFX producer Chris Allen, Flame artist Phil ‘Philo’ Oldham, combustion artists Mark ‘Ginger’ Epstein, James ‘Krispy’ Cornwell, CG artists Vania Alban-Zapeta, Chris Ratcliff, Minh Nguyen-ba and Matt Burn. According to Creative Match, the spot was shot on location in London over three days, using a cardboard cut-out of the bike as lighting reference for Absolute’s 3D team. The ‘money shot’, where the bike peels up from the road in the opening sequence, required several evolutions of animation. The agency wanted the 3D bike to look as though it had a life of its own. It was crucial that the bike looked elegant and serene so as to convey the idea that it’s an appealing form of transport. It needed to have a magical quality whilst also looking solid, with a realistically bumpy, tarmac surface. In fact, it took several design phases to get the texture right – balancing clean, appealing form against grubby realism. A sunny spring feel was important to reinforcing the commercial’s message but the original park shot unfortunately had to be filmed on a bleak day. The client requested a re-shoot but Absolute devised a more cost-effective solution: the Flame team waited for a sunny day and went to Greenwhich Park to photograph the exact same scene using hi-end digital stills. Absolute’s VFX artist, James ‘Krispy’ Cornwell, then created a matte painting and blended it back into the edit, saving the client thousands of pounds in the process. The VFX team also had several external issues to overcome: BACC (Broadcast Advertising Clearance Centre) rules meant that the bike had to follow actual traffic laws, which created restrictions with the way the bike could be composited into the edit. They had to re-map the bike’s animation several times in order to get it cleared by the BACC. The project was commissioned by a government body which meant client approvals were inevitably multi-layered, going right up to the Mayor of London. The team had two weeks, including research and development, to complete the job and the edit only became finalised two days prior to delivery. 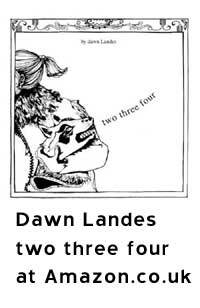 The song is Straight Lines by Dawn Landes from her 2006 album, Two Three Four. Hear the whole song at Dawn Landes MySpace.